I’ve bought it on eBay, it hasn’t arrived yet. It’s the Floid Vigorroso, with Menthol. I’ve never tried it before, I’ve always been interested in it because of the name, “Floid”. It has had good recommendations. The Aftershave I’m currently using is Proraso, with menthol. I hope it suits you. 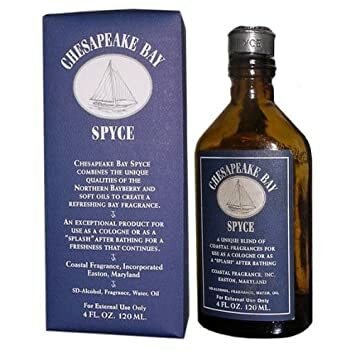 I think you are a brave man trying some aftershave blind, without even testing it on your skin, but then again I'm very picky when it comes to what i like to wear, I do spend a little time when purchasing. My favourite "every day" lotion is Kouros sport. I just put a dab of it on each "pulse area" around my face and a 100 ml container lasts me for donkeys yonks. I mean years. My Auntie smelt it on me and she really liked it. She liked it so much she bought some for my uncle but....When he tried it on, it smelt way different on him then what it did on me. I found that interesting. I do have others I rarely use now for some reason. My favourite of all is Dunnhull original, but I only wear that on special occasions like weddings etc. I did try some of that Proraso that you use and thought it was nice, haven't heard of Floid aftershave you speak of. 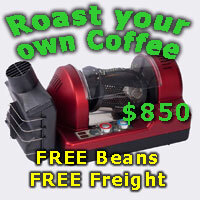 Let's know what you think of it when you take delivery of it. I tried Floid today. At first I wasn't sure what to make of the scent. It does seem nicer than the cheaper aftershaves I've tried in the past. After trying it on for a little while today I guess it's growing on me, it's a mild scent. It's not at all harsh, like the cheaper brands. I did notice the hole on top of the glass bottle was a bit larger than I like, I wound up wasting a small amount (not too much, though) of aftershave as it splashed onto my hand. That sort of small detail does make an impression on me. Would I buy it again? I think I probably would and have it as part of my "aftershave rotation". If you don't like wasting stuff, you'd be better off using eau de toilette. Although more expensive, it's stronger, so lasts longer, plus it comes in a spray bottle and you use less. 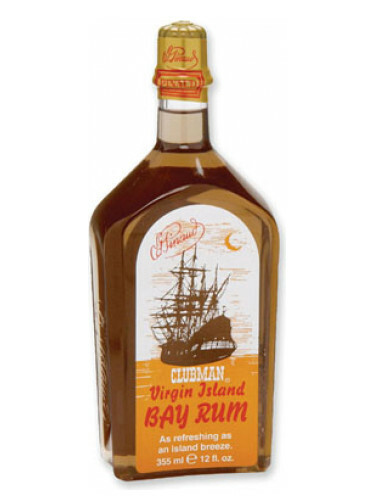 I use Virgin Island Bay Rum, good astringent without an overpowering aroma, and as a kicker, reasonably priced. I’ve tried Wahl Bay Rum before. Is this different to that? I remember Wahl as a cheaper brand and the scent was a bit overpowering, to me anyway. I do still use the Wahl styptic fluid in a bottle. Similar, many different brands available, just a matter of what you like. For special occasions I use this. Looking back over the past few days, there is one problem that's cropped up. I have a feeling this bottle of Floid has more denat alcohol in it than the Proraso bottles I have. My chin has started to get more itchy and I've had to put some cream on it. I don't mind putting a little bit of cream, with Vitamin E, on my chin but I'll see how I feel about it over the next week or two before I go ahead and buy more Floid. I guess it's possible I'll wind up having to use the cream regardless of which bottle of aftershave I try, as I get older. Although I understand there are aftershaves that don't have alcohol in them. I've always put cream on after my shave. I used to need to be careful around my neck area after a shave as it used to fire up, as soon as I regularly applied cream after a shave It was fine and have done so every day since. Ever since I first started to shave, I'd wash my face, then sometimes (not all the time) put a hot washer over the area I wanted to shave then applied shaving cream and shaved, after the shave I'd wash my face but instead of the suggested practice ( I learnt all that from the hair dressers learning their trade when I used to be a model for them ha,ha.) I'd have my daily shower and completely clean my hair and face. When I got out of the shower I found my face was smooth and supple, the next thing I'd do was to apply a moisturizing cream, I started with the Ponds, which quickly got to expensive then changed to the Nivea men's moisturizing cream with 30 + sun protection. This is now getting too expensive I fear so will need to change soon. The other point I'd like to make is instead of the old way of "completely drenching" your face with splash on after shave try just applying it to your pulse points, which are around your jaw area and a few inches down around your collarbone area. I do this and it works well. I guess my point is I have made it my practice to completely wash my face directly after a shave then apply cream. A little bit of manscaping never hurt me ha,ha.